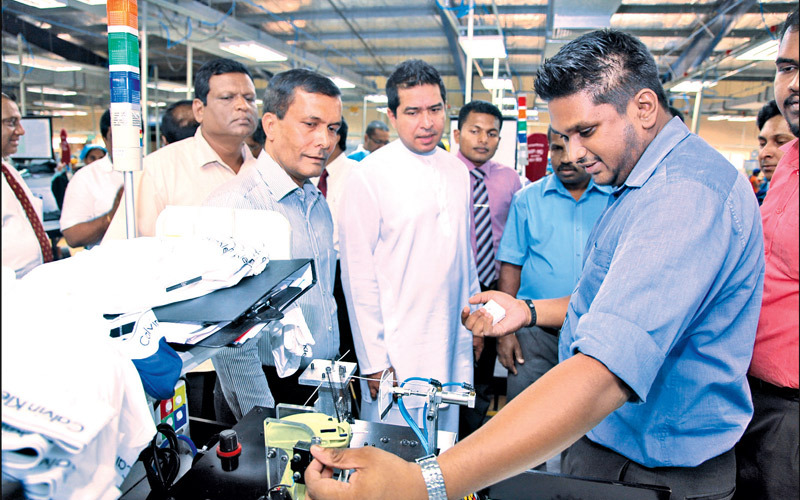 The government plans to set up an export zone in Trincomalee with Korean investment generating over 40,000 employment opportunities, said State Minister of International Trade Sujeewa Senasinghe. Under the new government’s economic development program over 5,000 industries will be started in 45 export development Zones island wide he said. The minister made these remarks during an inspection tour in the Koggala Export Procession Zone on Thursday. The government has also paid attention in setting up separate zones for medicinal drugs, agriculture, and vehicle production and motor spare parts manufacturing, he said. Senasinghe said Sri Lanka cannot be developed by taking decisions based on emotions because international cooperation was vital for the country’s development. After the visits of President Maithripala Sirisena to New York and Premier Ranil Wickremasinghe to Japan the international community’s recognition of Sri Lanka has further increased he said. In this backdrop, after having discussions with America and the European Union the government will negotiate to regain the GSP Plus concessions again Senasinghe said. The minister said with the scheduled signing of the TRANCE FACIFIC PATNERSHIP agreement the garment industry of the country would receive more concessions in the future. He also said to redress employee problems that exist in EPZs the government would after considering the views of employers and employees introduce a special program to solve them. Top officials of the BOI and Koggala Export Procession Zone, employees and Employers also participated in the event.